What’s holding your business back? 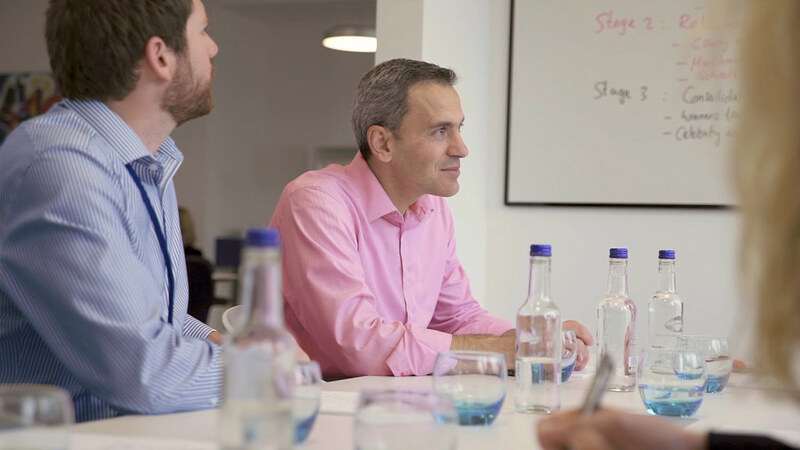 Whether you need to grow, be more innovative or make major organisational change, we’ll work with you to create a customised executive education solution. We will design your programme from scratch by drawing on rigorous investigation of leading companies by our School of Management as well as cutting-edge research from Bath’s other world-class faculties. Your people will get exclusive access to insights and ideas from thought leaders across the University. We’ll energise, motivate and inspire them, and they’ll return with the latest knowledge, skills and tools to start driving change from the moment they're back in the office. Our partnership with you starts with a conversation. We then work with you to pinpoint the levers for change and co-design a novel learning solution that directly addresses your needs. Although theory is important, learning will be highly practical and encourage debate. Talk to us about what you need and we’ll provide a complete package of learning, accommodation and catering to suit your people and your budget. Everyone who’s taken part has told me it’s the best leadership training they’ve ever done. It’s obvious our success really matters to Bath. They’ve invested so much time in understanding our challenges and goals. from University of Bath on Vimeo.